So the NBN rollout has finally reached your place, and you’ve been set up with a brand new fibre connection — the supposedly ultrafast broadband service that has been in the works for over five years by this point... and now you want to put it to the test. Maybe it’s been giving you grief and under-delivering on what your ISP seemingly promised, or maybe you just want to see how speedy it truly is. With this guide, you’ll be able to test the speed of your internet connection and see if it’s performing as it should. Before you go ahead and see how your ‘net is actually behaving, it’s probably a good idea to check out how it should be operating. When signing up for the NBN, you would have chosen a speed-tier from the options provided by your ISP — this will dictate the upper limit of both the download and upload speeds you’ll be able to hit, although that number isn’t indicative of the actual speed you will experience at all times. 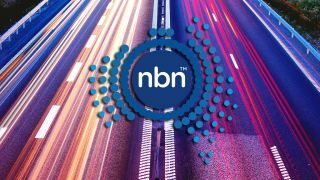 NBN Co. offers 12, 25, 50, and 100Mbps options, but because the company is a wholesaler, it ends up being the decision of each ISP as to what speeds they will offer to their customers. Typically ISPs have plans that reflect either three or four of those speed-tiers, but this won’t always be the case. The simplest method for testing the speed of your internet connection is the online testing tool SpeedTest.net, a free resource provided by global internet-testing company Ookla. Before setting loose on the test, you should try and give your internet the best chance it’s got at achieving high speeds so you can accurately measure the signal arriving at your house. Where possible, connect your computer or laptop directly to your modem or router with an Ethernet cable, and avoid running any downloads, streams or other data-heavy activities and programs while the test is in progress. If you have to test your connection over Wi-Fi, such as with a laptop or smartphone, try and move as close as possible to your router to ensure you have a strong wireless signal, as a weak one can interfere with the internet speed testing, meaning you’ll see lower results than your ‘net connection is actually capable of. Once you’ve set yourself up and you’re on the right SpeedTest page, it should just be a matter of hitting the ‘Go’ button and waiting for the test to run its course. Once completed, you’ll be given a ping result, measured in milliseconds, along with a download speed and upload speed, both measured in Mbps. We suggest running this test several times to ensure you’re getting consistent results each time. If the results are wildly erratic or vastly below the expected amount, try rebooting your modem and re-running the test. Don’t be alarmed if the download speed isn’t bang-on the number promised to you by your provider — it’s rare to get 100 percent of promised speed — however, it should be close if everything’s gone smoothly so far. Certain factors will affect this speed, such as how many devices or active tasks are using the connection simultaneously, as well as the type of connection you have. Fibre to the node (FTTN) connections, for instance, will experience slower speeds the further away your premises are to the node itself; apparently distances above 400-500 metres will start seeing a decrease in real-world vs promised speeds. If you’re experiencing significantly lower speeds than listed on your plan and have already tried all the aforementioned tricks, then you should contact your service provider to see what the issue is. They should be able to tell you how far away you are from the node if you’re on a FTTN connection, or if there are some specific problems in your area otherwise. Still not happy with the results? Maybe it’s time to check out a higher-speed NBN plan, or switching to another ISP entirely. We’ve made a page for comparing NBN deals here, as well as a handy article telling you what to look out for when choosing your NBN connection. No doubt you'll be wanting to watch some Netflix with your new NBN plan, but if you're after content from the US or UK, you'll need a VPN. Here's our pick of the best Australian VPN services for Netflix.